Cliff Hardy, a Sydney based P.I. and tough guy, is hired by a university professor to look into the possibility that more than one person survived the Dunbar shipwreck in the mid-nineteenth century, taking ashore a fortune in diamonds. 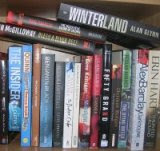 The trail leads to a prisoner who knows the whereabouts of another treasure. All Hardy is after is old family history, what he gets is more complex, involving the notorious Tanner crime family, an undercover cop, and an ambitious journalist. Then someone he talks to is found dead and the case takes a more sinister turn. 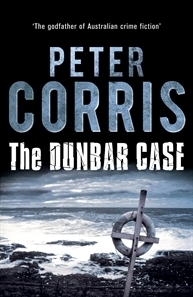 The Dunbar Case is the thirty eighth book in the Cliff Hardy series set in Australia. It’s a fairly standard independent, headstrong, tough guy PI tale, where the lead character takes a bit of punishment, has a romantic fling, and somehow manages to survive the shenanigans in which he finds himself involved. The tale is more than a paint-by-numbers case, with Corris blending a historical and contemporary plotlines to good effect, but it did feel a little paint-by-numbers in style, lacking a certain edginess to the writing and relying on a few plot devices to tie things together. Overall, a competently told, entertaining PI tale from down under.